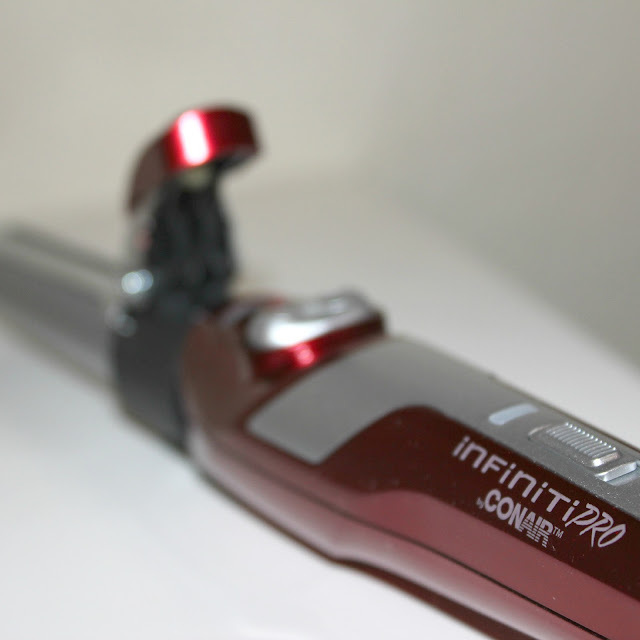 this month i was given the chance to review the new Infiniti Pro by Conair, which is an auto-rotating curling iron. i was on board to give this curling iron a shot for the auto-rotating feature alone, obvi. the curling iron itself is wonderful. it heats up to with 30 second heat activation 400°F, with 30 second heat activation - a lifesaver for any woman on the go. for those of you using curling irons that don't heat to 400 degrees, you may want to reconsider. unless you are part of the 10% of the population (totally making up this statistic) whose hair curls and holds, you need 400°F. also, the tourmaline ceramic easy-glide surface gives your hair a glossy shine with less damage. you know the phrase 'don't look a gift horse in the mouth'? yeah, i'm about to go there. the auto-rotating feature is what threw me. known as Curl Innovation™ it gives you the option to auto curl left or right. in theory this is a great idea, however, having used a regular curling iron for my entire life *cough, 31 years, cough* i found the mechanism quite cumbersome. you know in the movie Spy Kids where the villain has an army of thumbs? literally, large bodied beings in the shape of thumbs. that's kind of how i felt when using the auto-rotate. i couldn't quite get it right, my hair would fall loose or get caught. the auto-rotate never once damaged my hair, but something about the feature was awkward. as a curling iron, it was amazing. as an automatic curling iron, meh. along with the curling iron were Conair's AdjustaCurl™ Self-Grip Rollers which were a personal favorite. 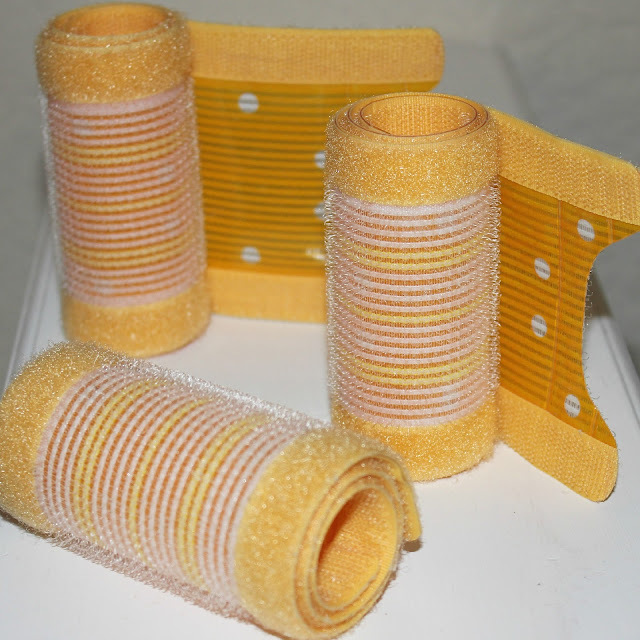 you can roll the velcro curlers to your desired curler size and they unroll flat for storage. this feature is a dream for anyone with organizational OCD. or, if you just don't appreciate your rollers tumbling everywhere, a nice feature. 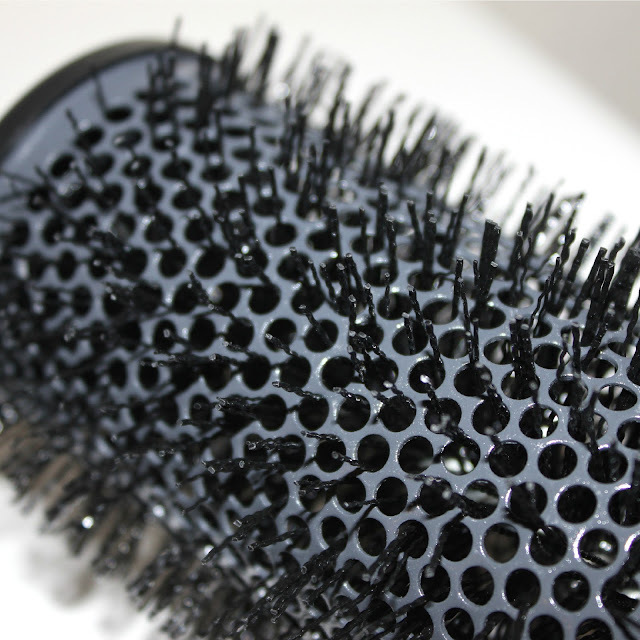 the Conair® Carbon Smooth™ Extra-Large Thermal Round Brush helps to evenly heat and dry hair while blow drying all while reducing static and increasing shine. if you haven't heard me say it before i will say it again. investing in a good brush is worth every penny. i promise. I would love to win this one ! I need all the help I can get with my hair! New to your site thanks for the great information and awesome giveaways.